Quite a savory vintage for Isobel this year, the most I can remember, and I’ve worked with these vines at Charles Heintz Vineyard since 1998. 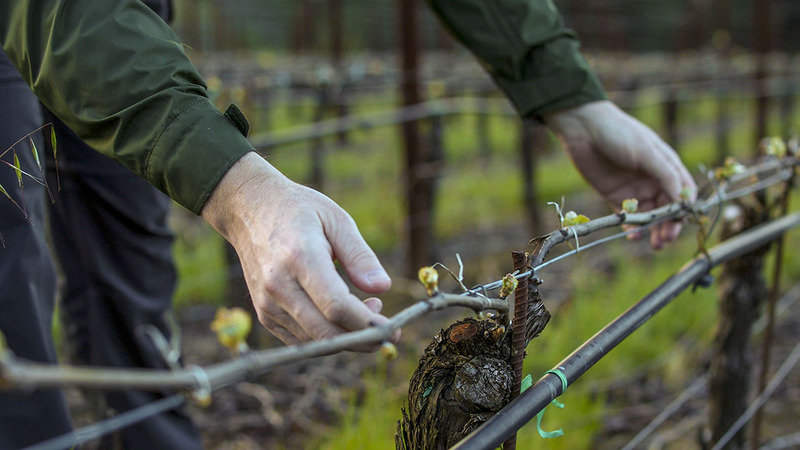 Of course there’s an abundance of cool climate fruit present, for which this wonderful vineyard is renowned, but at this youthful stage, it certainly takes a back seat to the wine’s botanical profile. But this can be typical in cooler vintages here. We share this vineyard with a number of other producers but are the only one to source from both the western sandy soils and the richer clay soils in the eastern block. The leaner savory elements originate in the sandy parcel while the clay fills in the middle and establishes the wine’s powerful foundation. The clay block is the senior partner this vintage. Tasting the wine, it clearly needs some time to deepen, so wait to open these until summer 2017. Its full potential may take 3-5 years to be realized. Don’t doubt its quality though, this vineyard has pedigree to burn. Sea spray, green olive, cheese rind, freshly cut grass and sage aromas. Palate richness expands: citrus oil, white stone fruits and honey. Intense, mineral and precise. Fine interplay between botanical, floral and fruit elements – chamomile, white blossom and meyer lemon. Lovely balance and fine length. Subtle leesy texture builds density. Brisk finishing acidity. Long star anise/lemongrass finish. Beautiful, savory, focused wine with subtle depth and gradually evolving texture. Pinpoint coastal signature.